Now, this wine made me sit up and take notice! It was marked down for sale as it’s near the end of its drinking life, but make no mistake; this is an awesome drink. Verdejo is the grape of Rueda and said to be one of the most distinctive Spanish varieties around. It’s very old, but had fallen out of favour as so many wineries were planting internationals and capitalizing on that bandwagon. Thankfully, there are some folks with wine sensibilities in Rueda who took it upon themselves to resurrect this treasure and start producing quality wine with it again. For a long time, Verdejo wines were prone to extreme oxidation and not of the highest quality. These days, they’re made much more carefully – and it shows. This is a 100% Verdejo (which means at least 85% of the grapes used have to be just that) that was picked early in the morning under the cover of darkness and processed when the grapes were still cool. Apparently about 12% was aged in oak which would account for the creaminess and deep colour. A beautiful shade of gold, the Naia has distinct aromas of citrus and creamy honey, roasted nuts and loads of Sherry. The palate is dry with full body and balanced alcohol with refreshing acidity. Flavours include pink grapefruit with thick honey, almonds and more of that briny, saline Sherry. WSET Very Good and a true treat. 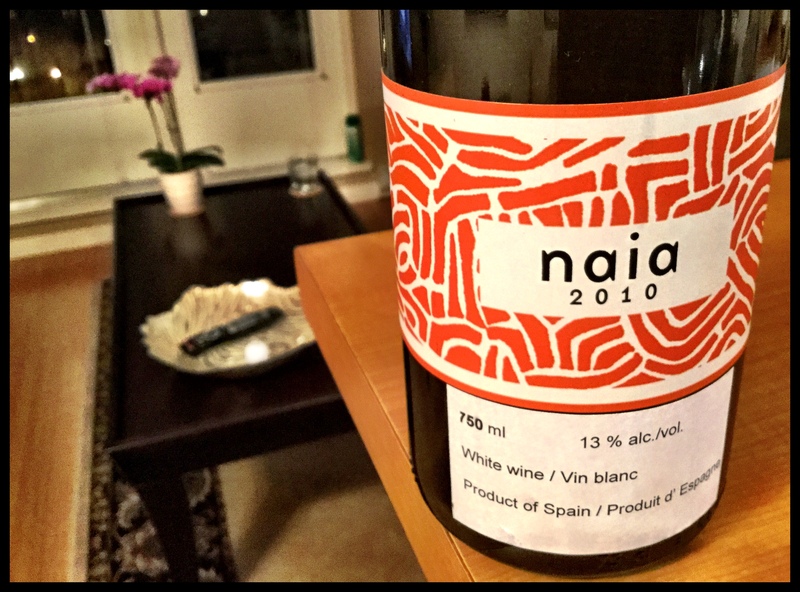 This entry was posted in Spain, Verdejo, WHITE and tagged 2010, Naia, Rueda DO, spain, Verdejo, white wine. Bookmark the permalink.